It’s Official: our December theme is RULE THE STARS! We announced our final theme of 2018 earlier this week and we were so thrilled to hear that you guys are just as excited as we are about this box. Hooray for bookish starry-eyed space cadets! 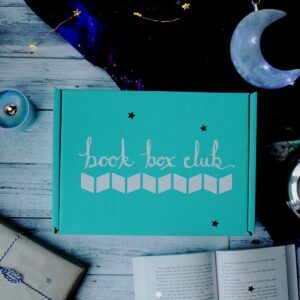 Our December box is inspired by courageous cosmic leaders and will feature a thrilling featured read about a doomed spaceship hurtling through the starlit galaxy! If you missed the big announcement click here to find out more about our RULE THE STARS theme and watch our theme reveal trailer. This is such a difficult question! I think in terms of YA my favourites are the Stalking Jack the Ripper books by Kerri Maniscalco! They were the kind of books that kept me gripped throughout the whole book and had me literally on the edge of my seat wanting to know the ending sooner and then being slightly heartbroken that it was over! Outside of YA I really love Jojo Moyes, she makes me feel all the feels and thats only after the first chapter! I am also a big sucker for Thomas Harris’ Hannibal series! Opening Elven Wick was one of my proudest moments, actually taking the step to doing something which I had thought about over and over and it still amazes me that it’s actually there! But I think my proudest creations are my candle boxes, it gives me the opportunity to incorporate my art and my candle business together and work with other small UK Businesses! Terracotta walls, antiques, bookshelves and cosy fur throws…and a very messy desk! My art area is full of items that showcase my personality! I have always thought that if I’m going to be spending a lot of time in a certain space and using my creativity to its fullest then I may as well be in a space that sparks all my creativity and represents me as a person, and being around things I love and things that shows off who I am really helps with that! I don’t tend to do a lot of eating while I work, even when making artwork! But I am an avid tea and coffee drinker! You will never see me without a mug in my hand! My crafting playlist definitely consists mainly of Lana Del Rey’s Born to Die album or some of my favourite Spotify playlists: Your Coffee Break and French Chill! I have many mini disasters when I work! But I think the worst one was actually nothing to do with Elven Wick! I was painting an oil painting onto wood and about 70% into the painting I royally messed up! No going back messed up! I was so annoyed I nearly put the painting over my knee and snapped it clear in half! Needless to say I didn’t try and salvage it! 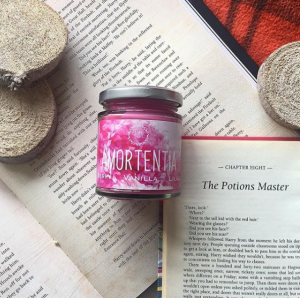 When it comes to candles I get a lot of inspiration from the amazing books that I read and that my followers recommend to me, new releases are always on my wishlist so that I can get my inspiration! I began my crafty creative lifestyle really early on in life, art was always something that I turned to and even now its still such a huge part of my life. I wanted something that I could do that would not only incorporate my love for art and being creative but also my love for books, and so Elven Wick was born! I think you will probably find me in coffee shops, hunting through antique stores or adding more and more clothes to my wardrobe! I very recently was also shown the world of journaling and letter writing which I have seriously gotten into! Collecting vintage stationary and crafty bits and bobs to use whilst journaling and letter writing has definitely become one of my main hobbies! Stamps everywhere! 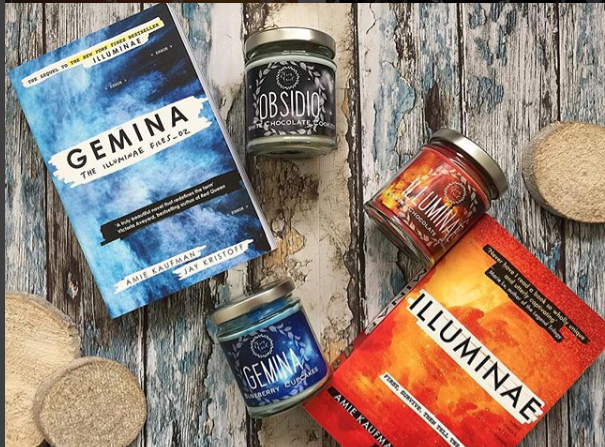 This December, all recipients of our Book Box Club RULE THE STARS box will receive a candle inspired by one of our all time favourite intergalactic fandoms. We love including candles in our boxes and whenever we ask you what you would like to see more of in our boxes, candles are always top of the list. 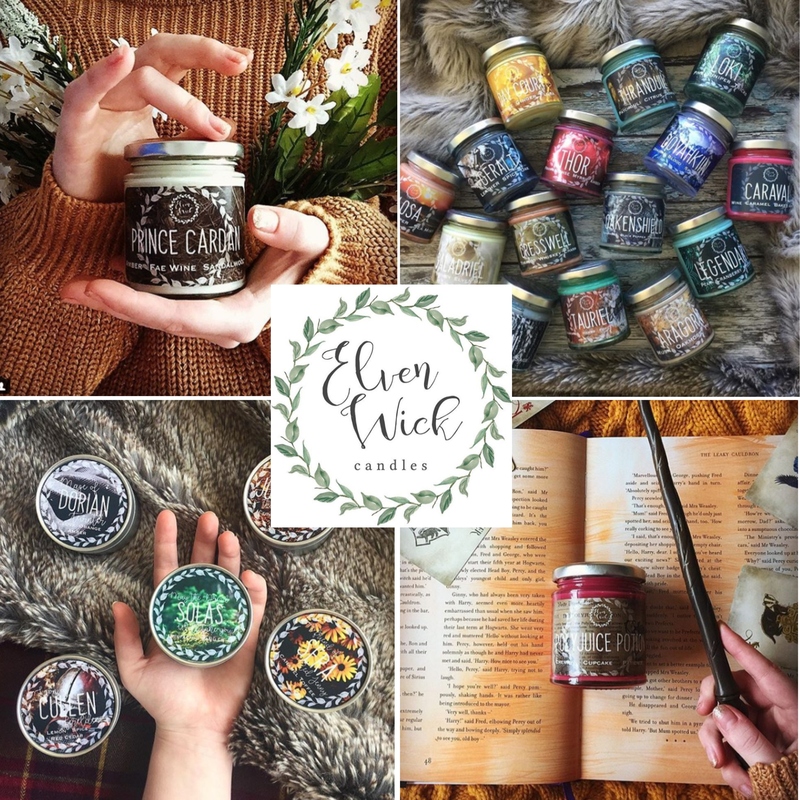 We’ve had a blast working with the lovely Sam (the brains behind Elven Wick) and she’s come up with the most gorgeous scented candle, perfect for our December theme. The candle we’ll be including in our Rule the Stars box will not only smell glorious but will look stunning. Let’s just say… expect some sparkles! To explore the world of Elven Wick Candles, check out Sam’s Etsy shop and Instagram. 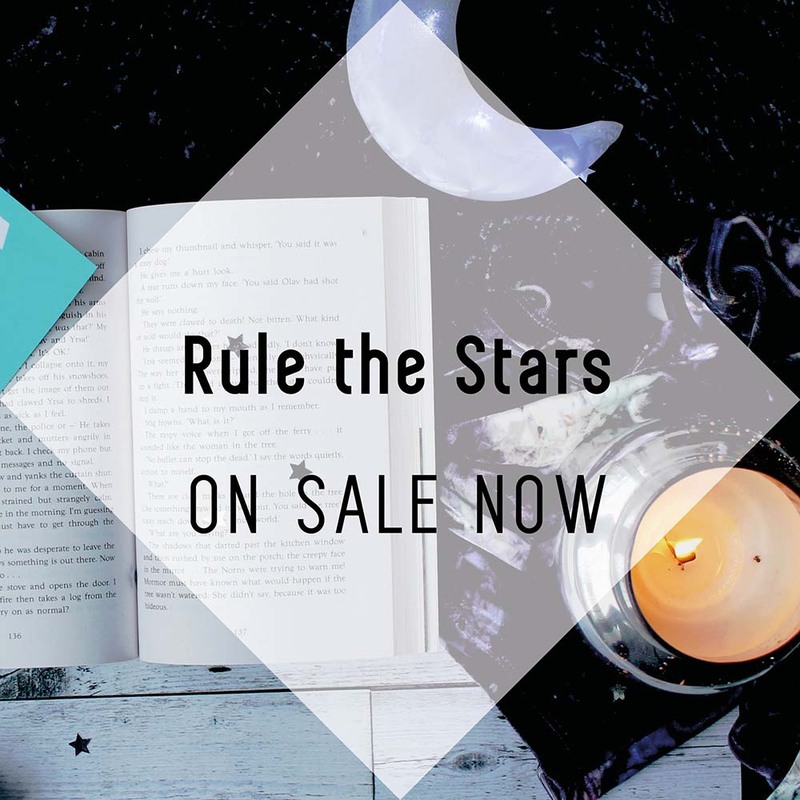 Finally, if you missed the memo earlier this week here’s a handy reminder of all of the crucial info on our RULE THE STARS themed December box and how you can get your hands on one! The Book: Get ready for an action-packed thriller set aboard a space station hurtling through the galaxy! Our December featured read orbits around a leading lady who finds herself captain and protector of a young and doomed crew. This tense mystery is full of cosmic world-building, complex (and swoonworthy!) relationships and a rising sense of panic, as it becomes clear that the dangers of outer space are far inferior to the dramas unfolding inside the cabin! Cross One of us is Lying or Murder on the Orient Express with Illuminae and you’ll be partway to imagining the high-tension atmosphere of this brilliant book. Our December book is a stunning, hot-off-the-press hardback, which will arrive gift wrapped and accompanied by a stylish book-plate, signed by the author. 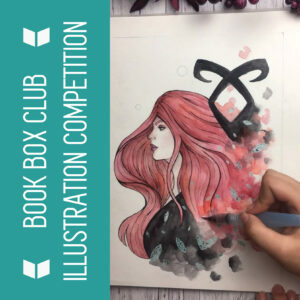 We are thrilled to announce that one of the gorgeous items inside our RULE THE STARS box will be our exclusive 2019 Unashamedly Bookish Calendar, featuring the winning entries from our illustration competition. 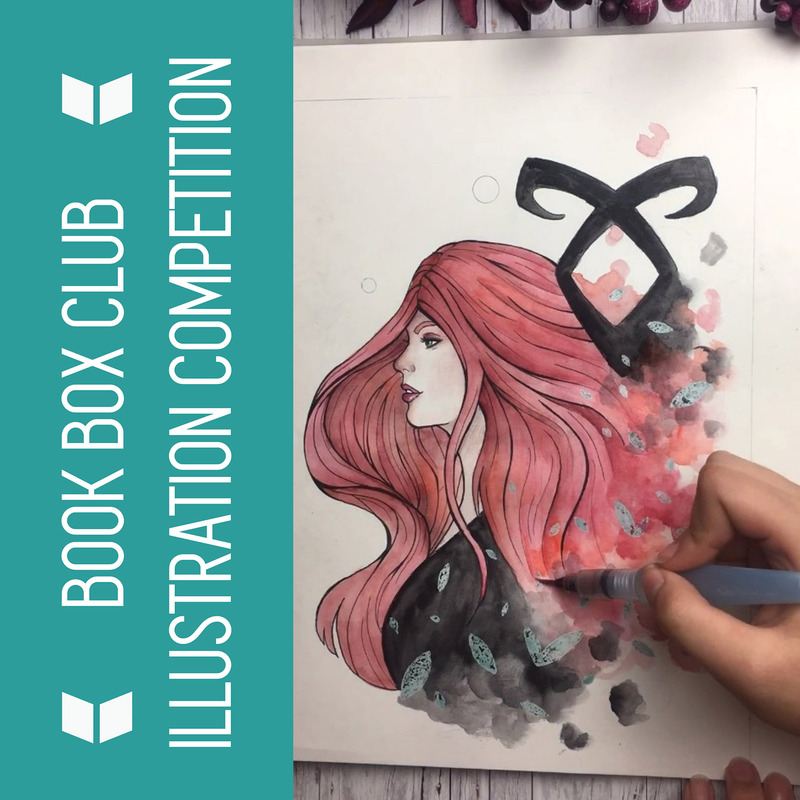 The competition is open NOW (CLICK HERE TO FIND OUT HOW TO ENTER) and we’re loving seeing all of your brilliant entries so far. We can already tell – this item is going to be STUNNING! All members will also receive an invitation to our members only online book group! Our guest of honour will be the author of our December book, who is very excited to talk to you all and to answer your questions. 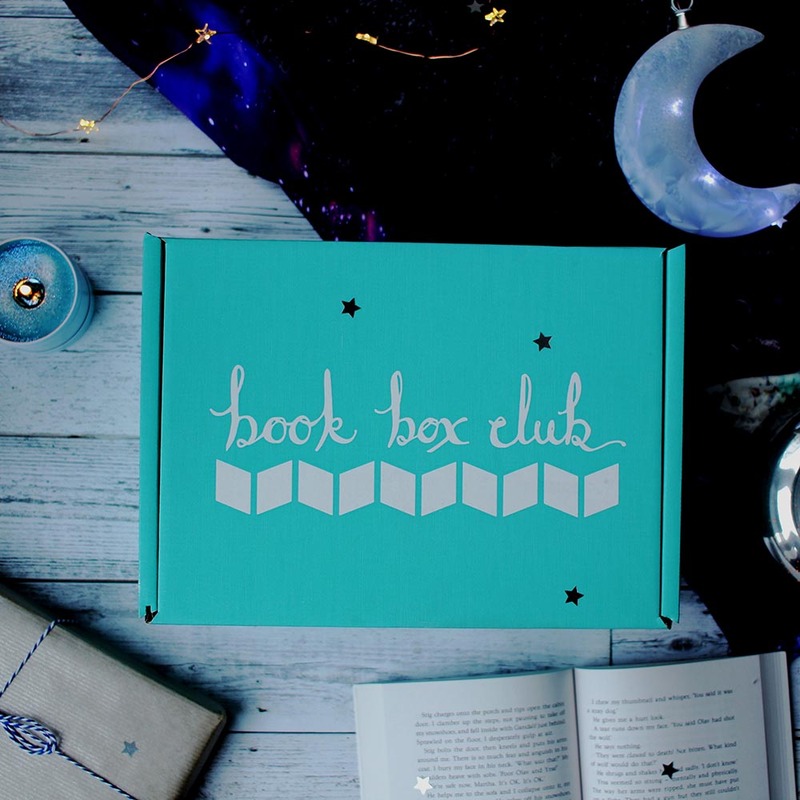 How to join us: December RULE THE STARS boxes and Purely Books parcels are available from our subscriptions page now. As ever, we only have a limited number of boxes available so get yours before they all disappear! Shipping to the UK is completely FREE, but we send our boxes all around the world so if you’re a far flung book lover, check out our FAQ page for all of our postage fees. We hope you’ll join us for a starry-eyed December! Have lovely weekends everyone!